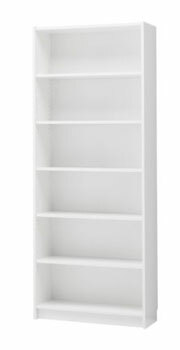 It’s interesting to know that one of the world’s biggest selling furniture manufacturers and closet King of Scandinavia, Ikea is actually building bookshelves not made to house books anymore. You could therefore argue that the bookcases that we are seeing are in actual fact cases…which means they’re just storage cabinets, but no, these are in actual fact being marketed as bookshelves (it seems that the word has grown a meaning of its own). The new Ikea bookshelves, first talked about by Gizmodo and The Economist in a terrific article on the state of digitisation and books, will be deeper and more display orientated. Next month IKEA will introduce a new, deeper version of its ubiquitous “BILLY” bookcase. The flat-pack furniture giant is already promoting glass doors for its bookshelves. The firm reckons customers will increasingly use them for ornaments, tchotchkes and the odd coffee-table tome-anything, that is, except books that are actually read. It just shows that the times they are a changin’ as a great singer-songwriter once said over 50 years ago. I had a few of his CD’s too, until I decided to digitise them too. Didn’t see that one coming, did you Bob? As I’ve mentioned before, books won’t die, despite the rise of the Amazon Kindle and Apple iPad, but there will be significantly less of them around to blow the cobwebs off. If you’re interested in having your books digitised, please visit our book scanning page for more information. Or give us a call.